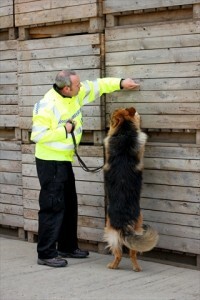 We at Protocol and Canine Security Services have taken an innovative approach to training and development. Once fully vetted and screened, all of our operational employees receive training to a standard amongst the highest in the industry. Naturally, they receive SIA (Security Industry Authority) Basic Job Training for Static and Patrol Guards, which is the minimum legal requirement, and is delivered by our own SIA Approved Trainer. In addition, employees with previous Home Office involvement are available to provide their expertise for training in Fire Training and Fire Prevention. As well as providing these courses for our team, we can also provide all or selected elements of this training to you and your staff. Ongoing training is key to keeping our dogs ‘on the ball’ and ready for action. Training begins almost immediately; each dog is different and so is the amount of training it takes to get it to the standard where it can start working. 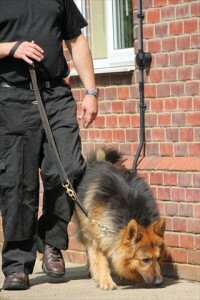 On average most of our dogs are ready after approximately 18 months of intensive training. All of our canines come from a good line of working dogs, some of which are scouted from parts of Eastern Europe.